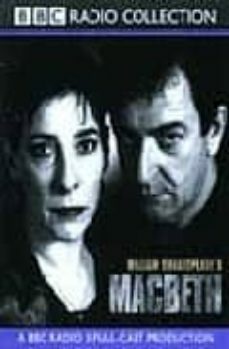 Richard Eyre directs Ken Stott as Macbeth and Phyllis Logan as Lady Macbeth in Shakespeare's dramatic tale of greed and destiny. BBC Radio has a unique heritage when it comes to Shakespeare. Since 1923, when the newly formed company broadcast its first full-length play, generations of actors and producers have honed and perfected the craft of making Shakespeare to be heard. In the acclaimed BBC Radio Shakespeare series, each play is introduced by Richard Eyre, former Director of the Royal National Theatre, and comes with an accompanying booklet which includes a scene-by-scene synopsis, full character analyses, brief biographies of the leading actors and of Shakespeare himself, as well as an essay from the producer on their interpretation of the play. Revitalised, original and comprehensive, this is Shakespeare for the new millennium.